Joe Kleykamp is a graduate of Eastern Kentucky University, where he studied music education. Now retired, he started his career as a high school band director, but left public schools for a business career. He has continued his musical work playing with numerous local groups and has performed in concert with national acts such as, The Temptations, Four Tops, Lou Rawls and Franki Vali among others. He resides in Lexington, Kentucky with his wife Debbie and spends his time boating on Lake Cumberland and being a certified British car nut. When Kristy was 10 years old, her grandmother, who loved Benny Goodman, told her to learn how to play the “Licorice Stick”, otherwise known as the clarinet, and a few years later, she learned the saxophone as well. She graduated from Asbury University in 2008 with a Bachelor’s Degree in Music Education. She was a four-year member of the KMEA Intercollegiate Band and won both the Concerto and Peniston Honors competitions. Kristy teaches privately and holds clarinet clinics locally. She has been a marching/instrumental staff instructor for several area bands. She was a member of the Jessamine Jazz Ensemble, Jessamine Station Dixieland Band, performed in numerous musicals and church programs, and subbed with The Young at Heart Jazz Band. Presently, she is a member of the Ignite Church Praise Team, Asbury University Ensembles, the Advocate Brass Band, and the MetroGnomes. Kristy is thankful to God for the gift of music. She lives at Camp Nelson with her husband Mike and five cats. She has four children and three grandchildren. Sam has been playing saxophone since the age of nine. After making numerous honor bands in high school, including the All-USA school chorus, Sam continued his music eduction in college before changing his major to chemical engineering. Sam has continued to keep a very busy schedule playing in numerous central Kentucky ensembles. In addition to the MetroGnomes, Sam plays sax in his jazz quartet, Blue Grove Jazz . He is a community member of the Asbury Universtiy Jazz Band and is also is a longstanding member of the Advocate Brass Band. Sam also enjoys playing bass guitar for the praise band at his church and playing sax in wind ensembles at various churches in the area. Sam lives in Harrodsburg with his wife Kathy and son Spencer. It has been very rewarding watching his son Spencer grow as a musician himself and having the opportunity to make music together. When not at a gig or rehearsal, Sam enjoys keeping up with UK sports and helping to organize and promote the annual Fort Harrod Jazz Festival. Willow is a graduate of the University of Kentucky with a Bachelor’s degree in Music Education and a Master’s degree in Music Education. During her time there she had the opportunity to play baritone saxophone in one of the UK saxophone quartets. Even before college she played baritone saxophone in the Henry Clay High School Jazz Band. She also participated in the UK Wind Ensemble, UK Symphony Band, UK Concert Band, UK Marching Band, UK Symphony Orchestra, UK Pep Band, UK Women’s Choir, UK Clarinet Choir, and was the uniform manager for four years. Other activities include playing clarinet in the orchestra at Tates Creek Christian Church, directing the bell choir, playing keyboard, and singing on the praise team. Willow is the current assistant band director at Beaumont Middle School in Lexington, KY, where she lives with her four dogs. Dan studied music in college before changing his major to Law Enforcement and becoming a State Trooper. He continued his love of playing the trombone as a member of the 202nd Army Band for 31 years. He currently plays in the the brass section at his church and for various charitable groups. His favorite musicians are Carl Fontana,Frank Rosolino,Gordon Goodwin and Rob McConnell. Dan considers it an honor to have the opportunity to play with such a talented and dedicated group of people as the MetroGnomes. Chase graduated from the University of Kentucky with a bachelors degree in Music Education and a Masters degree in Music Performance from Eastern Kentucky University. He enjoys teaching and performing and currently teaches private lessons in central Kentucky. As a performer, Chase has appeared with an extensive variety of musical groups with artists such as the Annie Moses Band, Wycliffe Gordon, and Bob Mintzer in venues such as Carnegie Hall and the Grand Ole Opry House. He had the privilege of recording on the album "Go" with Bob Mintzer. Chase also manages his own business tuning and repairing pianos. 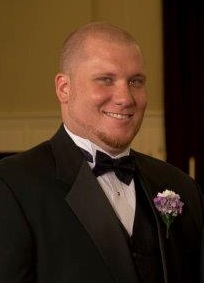 Matt Barnhill grew up in Florence, Kentucky and is a 2003 graduate of Boone County High School. He received his Bachelors in Music Education degree from EKU in 2008 and his Masters in Trombone Performance degree from EKU in 2012. While at EKU, he won the music department concerto competition twice, in 2006 and in 2008. He also performed solos with the EKU Symphonic Band and was active in many ensembles, including the Jazz Band, Orchestra, Symphonic Band, Pep Band and Marching Colonels. Upon graduating in 2008, Mr. Barnhill was hired as the band director at R.A. Jones Middle School in Florence where he taught for two years before returning for his Masters degree. Since 2012, he has been the director of bands at Berea Community Middle and High School in Berea, Kentucky. He has performed with the Owensboro Symphony Orchestra as a substitute and continues to perform with the Madison Community Band and Lexington Community Orchestra. Michael is a senior at the University of Kentucky studying for his Bachelors in Music Education. During his time at UK he has had the opportunity to play in the UK Symphony Orchestra, the UK Wind Symphony, the UK Jazz Ensemble, the UK Trombone Quartet, the UK Trombone Choir, the UK Symphony Band, and the UK Lab Band. In addition he has performed at the 2013 CBDNA, KMEA, and Midwest Clinic with the above ensembles as well as recording with International Jazz Musicians Wycliffe Gordon, Bob Mintzer, Vince DiMartino, and Miles Osland. Upon graduating, he hopes to continue his education by pursuing a Masters in Music Performance. Reg Richwine is a retired high school band director where he spent 35 years in public education. After retiring, he spent 6 years at the University of Dayton as an adjunct professor in the Music Department teaching jazz improvisation and working with the three jazz ensembles and playing in the Faculty Jazz Sextet. Reg played professionally in the Dayton, Ohio area for over 34 years with various local groups including the pit orchestra at the Schuster Center for many Broadway Shows. Reg has also performed in concert with national acts such as, The Temptations, The O’Jays, The Moody Blues, Jack Jones, Franki Vali, and Bernadette Peters. Since moving to the Lexington Area in July 2014 he has been performing with The MetroGnomes, Bluegrass Area Jazz Ambassadors, Young At Heart, The Lexington Brass Band, The Central Kentucky Brass Band, and also as a sub for The DiMartino-Osland Jazz Orchestra. He enjoys spending lots of time with his wife Marthann, daughter Catie and her husband Cameron, and grand-daughter Emma. Milton Lowe is Associate Director of the Doctor of Ministry Program and an affiliate faculty member at Asbury Theological Seminary in Wilmore, KY. He spent 26 years in full-time and bi-vocational ministry and worked for 5 years for a church software company. His first experience with a jazz band was when, as a graduate student in seminary, he played in the Asbury College Stage Band under the direction of James Curnow, internationally renown composer, arranger, and director. Milton enjoys helping fulfill the mission of The MetroGnomes, providing music that is fun to play and fun to listen to. Larry Crawford studied piano performance at The Cleveland Institute of Music and music ministry/education at Alderson-Broaddus College. He enjoys teaching kids to learn the wonders of music: from accompanying many local public schools to private lessons or seminars. His greatest influences are God and his wife, Ellen: both have taught him more than any textbook ever could. Bob is a graduate of West Virginia University in Electrical Engineering and played bass in the WVU Symphony, marching band, ROTC Band, musicals and was a member of the Bellcastro Jazz Trio that won several awards at Notre Dame Jazz Festivals. Bob has had extensive experience on string bass, 5-string bass guitar and tuba in the New York & New Jersey area and has performed regularly with many groups in central Kentucky. These include the Bluegrass Area Jazz Ambassadors (BAJA), Jim Stone Jazz Band and most recently the Metrognomes Big Band. Bob’s small jazz group experience includes groups such as the Walnut Street Ramblers, Dan Brock & Friends, Jessie Laine Powell, Jazzberry Jam, Colonel’s Choice and O-Zone. He has also played in several Broadway musicals that toured in Kentucky, such as Chicago and Ain't Misbehavin’. As a tubist, he is an original member of the Dixie group, The Honey Creek Stompers. Bob’s traditional jazz roots go back to performances with Max Morath, the noted Ragtime piano player who narrated the PBS series on Ragtime. Bob can be heard on nine CD’s produced locally. Bob’s electronic background includes engineering management of music amplification and speaker design at Ampeg, production & service management at Moog Synthesizers and more recently, as a laser cartridge manufacturing engineer at Lexmark here in Lexington, in Korea and in northern China. John has been performing for 50+ years. He has performed with Billy Taylor, Ramsey Lewis, Sir Roland Hanna, Marcus Belgrave, Billy Hart, and Jeff Haas. Having been in Lexington for the last 19 years, John has performed with Jay Flippin, Bruce Martin, Raleigh Dailey, Miles Osland, Danny Cecil, Bob Hacket, Harold Sherman, Tom Senff, Jeff Coffin plus many others. John started teaching private lessons 2 years ago with many of his students realizing great success in SCAPA and CKYO. JR enjoys listening to a variety of music and especially likes jazz from the 1950's and 1960's (Davis, Coltrane and Shorter). He has a Master’s Degree in Chemistry and has worked in the music industry as a recording engineer, producer and composer. He has album, jingle and film credits. As a producer he has worked with various artists and has produced a national award-winning jingle. As a composer, JR has written songs for animation and album projects. Jo Sickles has been singing since age 5 with roots in gospel music. As a youth, she participated with church and community choirs. She studied vocal music performance and has trained and showcased her talent. After competing and winning various talent competitions, her interest broadened to other musical artforms in different venues, including, Shakertown's African-American Shaker series, and a local theater musical production, "Smokey Joe's Revue" Organizing and producing church revivals and gospel workshops has also become an interest. In 2015 she participated in a local musical event, which became a part of a documentary commemorating African American churches and their role and influences shaping gospel music. She has recorded original material for a local songwriter/producer, including a jingle that won an award for "best jingle" in its class. She has performed with different bands for over 20 years including, Big City Groove and Network, bands. She is the lead vocalist for The MetroGnomes Band.